I would like to thank Minelab for building a great metal detector. I have used White's for many years and your Excalibur II has surpassed all my expectations. It has great sensitivity and penetration enabling me to find what other detectors miss. 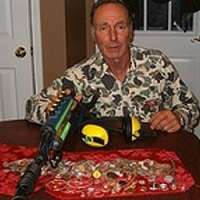 The attached photos are of my recent findings from three hunts on our local beaches. 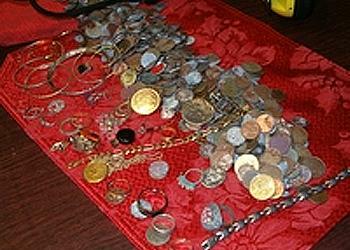 I have found my most successful hunts to be after a storm when the high tide brings these treasures onto the beaches. I went directly behind other hunters using other detectors and have found what they passed over. This is an awesome machine and I couldn't be happier. 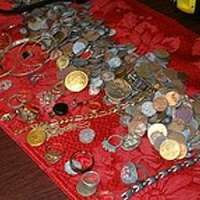 I have found many rings, necklaces and other jewellery of value along with a lot of money including a Confederate fifty-cent piece, which I found out later was a counterfeit, but it sure did get my heart pumping. 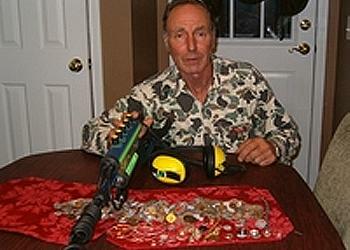 Thank you Minelab for such a terrific machine, one that gives me confidence every time I go out on a hunt. I am closing this story with one final word, "You will never find it all", and good luck to all. I have ordered from you several times and never had a problem. Thanks for your concern to us as customers, keep up the good work.